Underground infrastructure undoubtedly constitutes one of the most important engineering components of urbanized areas. Such infrastructure includes energy distribution, communications and water, carry away sewage, elements of transportation systems of goods and people, storage facilities of articles, liquids and gases, as well as commercial, recreational and research activities and other functions. 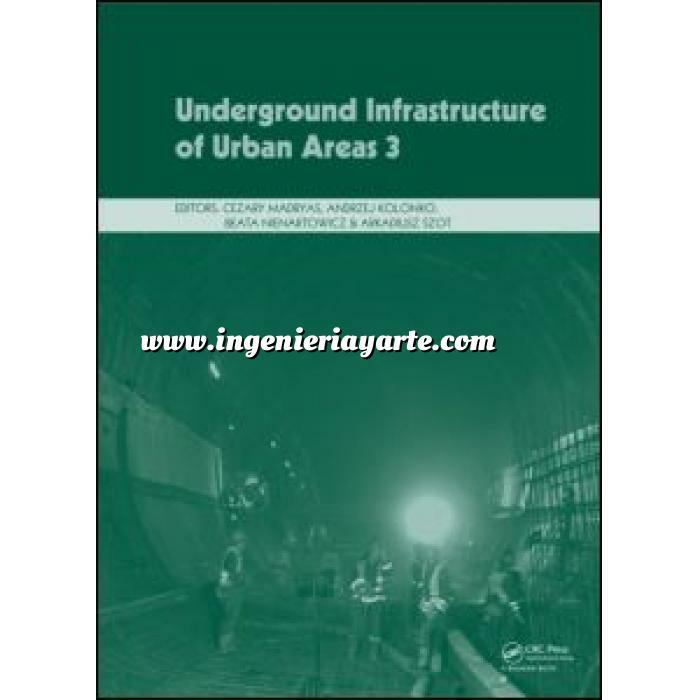 Underground Infrastructure of Urban Areas 3 is dedicated to the research, design, implementation and maintenance of infrastructure systems, as well as communication tunnels and building structures (garages, tanks, etc.) in urbanized areas. The book collects contributions from several countries, presenting current scientific and technical issues associated with this area of the building industry. Both theoretical issues and case studies on the design, execution and testing of underground infrastructures at professional and academic levels are included in the present work. Presenting the state-of-the-art in underground infrastructure of urbanized areas, the book aims at academics, designers and builders of structures, producers and suppliers of building materials, equipment, and underground structures, and also at those managing and maintaining these structures. Key factors of success in pipe jacking, explained by means of a project realized in the Atacama desert—the first jacking project in Chile after almost 20 years: Preparation is the key!